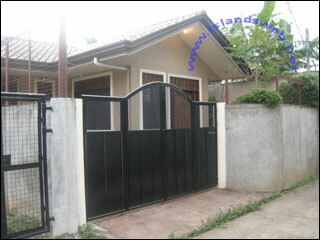 Residential House and Lot, Floor area: 54 sq.m., Lot Area: 323 sq.m. A single storey house with 200 sq.m. vacant lot, just a kilometer away to the malls, hospitals, aiport and schools. Electricity, water supply, telephone are all existing. Cable TV and Internet connection are also accessible.